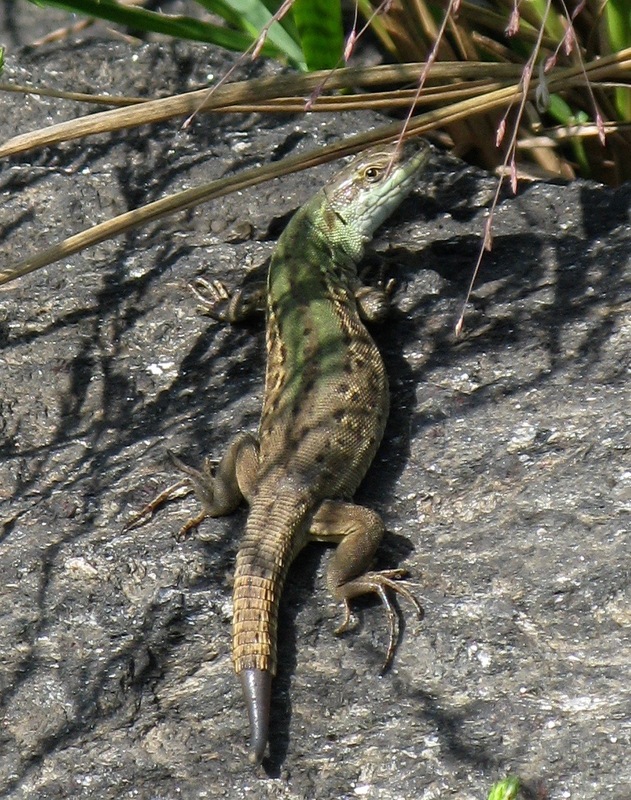 Lizards can shed their tails to escape predators, including the two-legged kind. This is called autotomy (“self-severing” or self amputation): reptiles, amphibians, spiders, mollusks, even some mammals have various forms of it. The lizard tail situation is probably the best known manifestation of this adaption. There will be some regeneration, as you can see here, but not quite as perfect as the original. When I was ten-ish, we lived north of Naples, Italy. The place, a Sixth Fleet suburb called Parco Azzuro, was terraced up a hillside. There was a tufa retaining wall on one side of the property dropping down to the road. This is where we saw most of the local lizards. Something about a wall doth a lizard love. 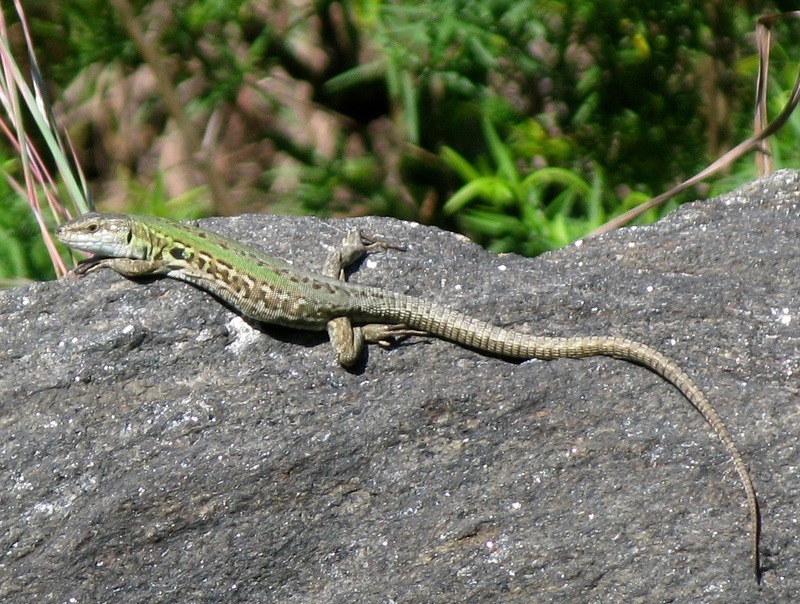 (In fact, the NYC lizards pictured here, Podarcis sicula are also known as Italian Wall Lizards and originated in the Mediterranean region.) Trying to catch them meant I came away with still-twitching tails several times. One lives and learns. I suppose that is what is so wonderful about us a species. The countervailing tendency is to hunker down and endlessly repeat initial errors. That’s another human characteristic, rather less laudatory. And a good description of the bunkered politics of roughly a quarter of the population. Low-information partisans fortified by the conspiracies and bigotries of Fox and it’s even more grotesque familiars InfoWars, Limbaugh, and the like, are unquestionably the enemies of democracy. These crazies have never been more powerful. Someone asked if this blog’s fundraiser was still open: it is.